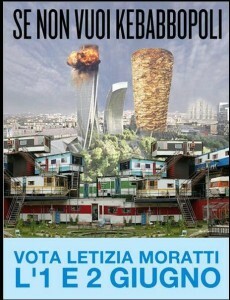 Riffing on the Northern League's fear of a "zingaropoli" or "Gypsyville," this mock poster advises those who don't want a Kebabville to vote on June 1-2. Polls closed May 30. May ended up being a very bad month for the intolerant: first Osama bin Laden, then Ratko Mladic, and now Silvio Berlusconi, whose coalition was dealt a serious blow in run-off mayoral elections all over Italy this past week. Of course, Berlusconi’s crimes of philandering and corruption are much less grave than terrorism and mass murder, but the effect he’s had on democracy in a country struggling with economic stagnation has not been healthy for western values. The net effect of these three incredible events has been to clog Premesso’s news-gathering apparatus with an overload, so apologies for the lack of updates. Seeing this tactic lose out was refreshing, and often funny to boot. (Read more of Walston’s excellent analysis, included a piece from which the above quote was taken, on his blog, or watch at interview with him shortly before the eight minute-mark here.) Young Italians may not be taking to the piazze the way their Spanish compatriots are, but they are taking to web and producing hilarious results. 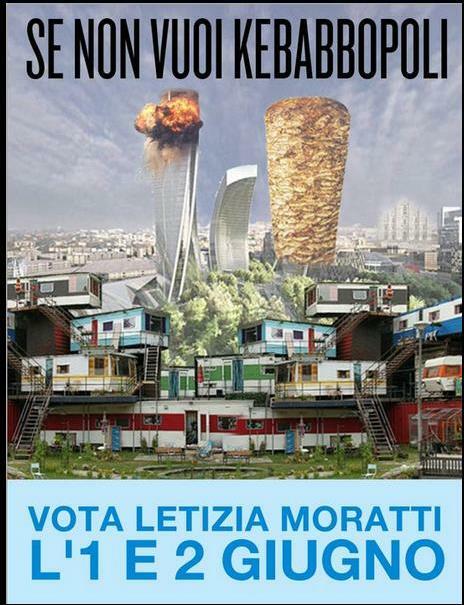 Web-savvy Milanesi hilariously parodied the brutish xenophobia online; check out pages on Facebook encouraging people to vote for the mayor today (June 2), a national holiday celebrating the birth of the first republic, or supporting a fictional Muslim district of Milan called Sucate. To come: photos from the streets. This entry was posted in electoral crisis, gypsies, human rights, humor, il cav, immigration, italy, lega nord, roma, the italian left, the italian right and tagged #spanishrevolution, berlusconi, lega nord, mayors, Milan, mladic, racism. Bookmark the permalink.